You may have heard of native advertising over the last year. The digital marketing world is buzzing, declaring that native advertising is the next big thing. Native advertising is paid content that appears in a consumer's feed. Unlike traditional advertising mechanisms, native advertising is designed to be non-disruptive to content consumers. Native advertising is a means to reach your audience to sell a product or service with content. 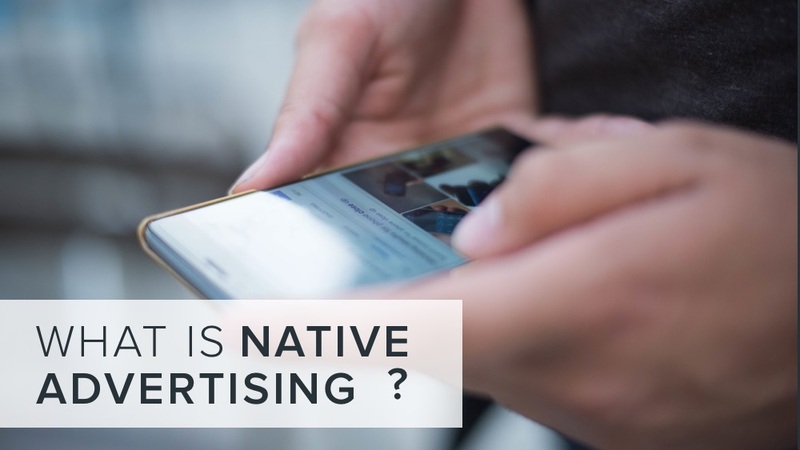 To understand whether it is a good approach to add to your marketing strategy, here is an overview of native advertising. The terms native advertising and content marketing are often used interchangeably. However, there is a big difference between the two strategies. Content marketing is designed to build customer relationships by providing relevant information that is educational or entertaining. Native advertising on the other hand is designed specifically to sell a product. Beyond the differences in goals, the other key difference between native advertising and content marketing is the implementation. Content marketing is implemented on blogs and articles; through eBooks; reports; newsletters; and with visual content like videos; infographics; and photos. Native advertising, however, appears in social media feeds; paid search units; and recommendation modules. Essentially native advertising is a paid or sponsored advertisement that is designed to push brand awareness and customer engagement. Should I use native advertising? Research suggests that content marketing has a much higher return on investment than native advertising (Adweek). Having said that, native advertising can be an effective tool depending on your marketing goals. If you are looking to increase brand awareness and site traffic, native advertising can be a really effective strategy. Though once you increase awareness and site traffic, you want to ensure customer retention and action by providing high-quality content marketing once viewers interact with your brand. There are many benefits to using native advertising as a part of your larger digital marketing strategy. However, in order for it to be truly effective, you need to make sure that it is paired with a quality content marketing strategy. If you are looking to implement a native advertising strategy and make sure that your content supports the tactic, talk to the experts at ALHAUS. We can help you put together a great content management strategy that incorporates the most effective tools for your particular business. So contact us today to see how we can help.